Carriers in the United States are locking horns with each other for increasing their consumer base and ROI. Some of the carriers are being praised for their sincere efforts whereas AT&T is receiving severe criticism from some customers and public advocacy groups. So, what’s the story behind the criticism? A&T, headquartered at Whitcare Tower from Downtown, Dallas, Texas, United States, is one of the 86 service providers that have refused to participate in a government’s subsidy program aimed at triggering significant reduction in the cost of broadband internet used by low income phone service users. It is a subsidy program for poor families to cover the cost of residential phone service or cell phone service to stay connected with their families, friends, jobs and even emergency services. The program had been expanded recently to include broadband internet services as a medium for closing the digital divide. AT&T informed the FCC (Federal Communications Commission) via a letter stating AT&T’s own low cost broadband program named “Access from AT&T” as a much better and reliable way of ensuring universal access to internet services. “Broadband internet should be a part of the lifeline program but the present structure of the program excessively pressurizes providers on an administrative front”, says AT&T. AT&T’s think tank refused to stipulate in this regard. The company also refused to reveal the number of low Income phone service users/families participating in AT&T’s ‘Access from AT&T” program. Lifeline had been introduced in 1985 with the objective of making home phone service for low income families and individuals more affordable to help them stay connected with their families, friends, jobs and emergency services. The Lifeline program was subjected to expansion of vital wireless services like prepaid cellphone and texting during the tenure of President George W. Bush. This is exactly when the FCC announced an expansion for covering broadband internet services and announced the modernization of Lifeline program by setting up a NEV (National Eligibility Verifier) for checking consumer eligibility for home phone service for low income in order to fight abuse and fraud. The National Verifier is not going to be rolled out to every state in United States before 2019. This is one of the two reasons why AT&T does not want to participate. As for the second reason, “It makes little sense to spend resources on implementation of a soon-to-be-replaced administrative rule for a new service when we are already offering low-income consumers a better deal through our Access from AT&T program,” Says Joan Marsh, Senior Vice President at AT&T Washington, D.C. She said this while addressing AT&T’s team on a Public Policy blog. She further added that corporate programs like “Access BY AT&T” require low income phone service users/families use credit cards. Such programs most of the time have very narrow criteria for eligibility and disappear immediately after the expiration of FCC’s merger conditions. AT&T has made its decision. The company has openly refused to participate in the Lifeline program. This has frustrated a lot of poor customers. The move does not look good for the company as it may shrink it’s consumer base. However, it is too early to predict the results of this decision taken by AT&T. For now, just wait for the right time to see the impact. Keep coming back to us as we will keep you updated in this regard on a timely basis. Verizon Wireless has always been dedicated to seeking meaningful growth in the wireless sector. The competition has always been tough for the company. And many thanks to industrial competitors like AT&T, Sprint and T-Mobile, because the company has started offering FiOS to its local phone service users in Boston, Massachusetts. The company aims to provide this services to over 25,000 families and businesses in the city by the end of 2016. The company had largely stopped expanding FiOS fiber for home phone service subscribers in the year 2010 and immediately shifted its focus on completing existing builds. Now the company changed its decision during the month of April 2016. The company clearly announced that they are focusing on fiber buildout throughout Boston on a large scale with the objective of replacing the copper lines used for delivering Internet, TV and Local phone services to customers. “We are also in talks with other cities regarding the possibility of fiber rollouts. 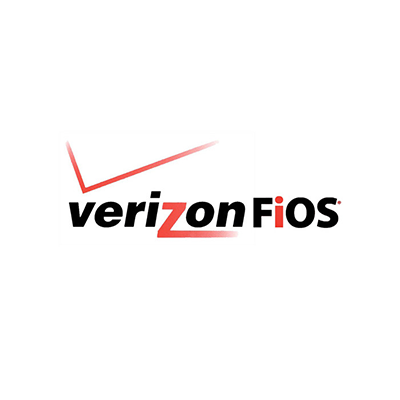 Moreover, the company is all set to schedule the Installation of FiOS on an immediate basis”, says Verizon Wireless. The service will reach Dudley’s Square Innovation District of Roxbury by the end of December 2016. The service will be expanded on a street by street basis in Dorchester, Roslindale, Roxbury and West Roxbury in the year 2017, says Verizon. In accordance with the joint announcement by Verizon and Boston city Officials, the estimated cost of this project is somewhere around $300 million. It will take almost six years for the replacement of Verizon Wireless’s infrastructure based on copper with state-of-the-art fiber optic network platform throughout the city. How many of the local phone service subscribers in Boston will get a chance to buy FiOS service? This is a big and a very important question. The company has a license from the city. This license allows Verizon to avoid installation of service in Boston if it is “commercially Impracticable”. This is not applicable to public housing for low income residents. Most importantly, Verizon Wireless has not said anything about expanding after the company finishes wiring up the currently planned neighbourhoods. Now it will be very interesting to see the number of Boston houses getting fiber. The Boston city officials have asked Verizon Wireless to provide them with an estimate in this regard. This decision of Verizon Wireless has sparked anger among government officials of various other cities. They have criticised Verizon for not servicing all home phone Service users. Customers in low income areas have particularly not been served by the company so far. A city-wide build-out in New York City is the best example of that. The build-out in New York City did not reach all of the home phone service subscribers. All telecom service providers in the United States are competing hard for growth in the wireless sector in one way or another. AT&T has recently launched an application called DirectTV Now. But the company is not stopping there. Now the company claims to have become the first US carrier to conduct a 5G business customer trial in Austin, Texas. AT&T announced its very first public 5G demonstration in collaboration with Ericson and Intel on 5th December 2016. Successful streaming of 4K HD videos, real time camera feeds and speeds of almost 14 gigabytes per second were the main highlights of this demonstration for AT&T’s Texas phone service subscribers. In addition to this, millimeter wave (mmWave) technology was also demonstrated at one of Intel’s Austin based offices in Texas. This technology is fully capable of powering a 5G network experience. AT&T is very positive in regard to this 5G public demonstration. It takes technology completely out of the labs and into the field to determine the level of its capability to serve real world customers. Multiple enterprise proof of concept use cases will be tested by utilizing the bandwidth speed of more than a gigabyte per second in this whole process. This is specifically going to include the following for Texas phone service subscribers. The company is expecting mmWave technology to become a vital and integral component of 5G. 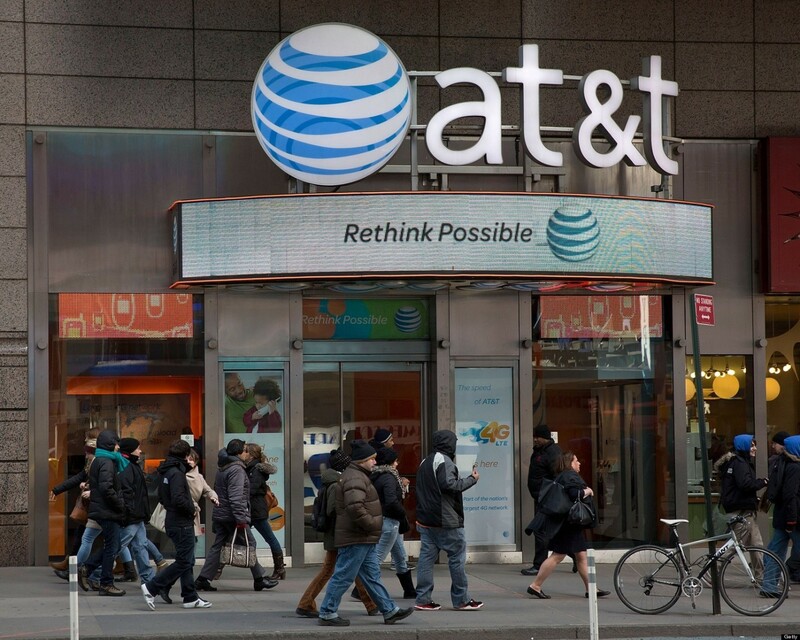 The trial will be key to significant acceleration of AT&T’s 5G work. The trial will definitely highlight the way technology acts in a real time commercial environment. He said this in a statement. Availability of 5G in full strength promises electric fast internet speed. This speed could easily be 10-100 times faster than LTE. It means Texas phone service users will be able to download any full length High Definition movie on their smartphones in just a few seconds instead of minutes. The chip giant is also working in this direction. The main objective of QUALCOMM is to aid in the transition to 5G. The company unveiled its plans in this regard during the month of October 2016. The company has clear plans of expanding its reach in the camera space. Successful development of hardware and software designed for various types of video and image devices beyond the cameras of mobile devices will play an important role in this process. Introduction to the 5G modem chipset for connected cameras was also the part of this announcement. Competitors like Verizon Wireless are yet to conduct their 5G trials in the year 2017. Now all the carriers are expecting 5G to spark an increase in the sales of smartphones and mobile services to a significant extent. It is not going to be that easy for any company and especially for AT&T. 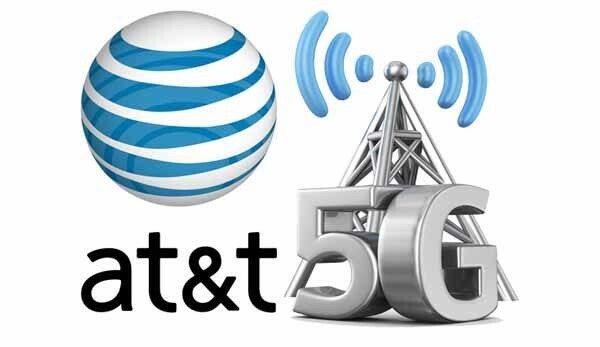 AT&T will first have to convince municipalities to allow for the installation of 5G equipment. Most importantly, millions of towers will be needed. T-Mobile has been trying to turn cars into Wi-Fi hotspots for its local phone service users for a long time. The company has introduced a small but very smart device called SyncUp Drive. It is a kind of plugin module that can provide wi-fi connectivity as well as in-car data monitoring. The company has introduced SyncUP Drive for its local phone service users mainly with the objective of seeking growth in the wireless sector. It is T-Mobile’s strategic move to find way to adding to its revenue. The company has aggressively focused on gaining new customers in the past few years. T-Mobile has been getting new subscribers successfully as compared to its major competitors like Verizon Wireless and AT&T. This is where T-Mobile’s SyncUP Drive exceeds the capability of AT&T’s and Verizon Wireless’s similar devices. T-Mobile’s SyncUp successfully combines the unique features of connected car services provided by both AT&T and Verizon Wireless. T-Mobile’s SyncUp device is somewhat different from AT&T’s plugin devices and Verizon Wireless’s Hum-plugin. AT&T sells two different devices. One of them monitors car data whereas the other ensures Wi-Fi hotspot to the occupant of a vehicle. Coming to Verizon Wireless’s hum-plugin, it only offers the monitoring of car data. It does not offer Wi-Fi- connectivity. Its functionality is a combination of similar devices from AT&T and Verizon Wireless. Price is where T-Mobile seems to have differed. T-Mobile is offering monthly data plans. T-Mobile’s cheap phone service users can enjoy two Gigabytes at the cost of $50 or for $95 they can enjoy the data from 10 gigabytes to 22 gigabytes. The data plans offered by AT&T are somewhat stingier as compared to the data plans offered by T-Mobile. AT&T charges $20 for a gigabyte and $30 for three gigabytes. However, AT&T also allows its cheap phone service users to use data from their cellphone data allowance at the cost of only $10. This is where Verizon Wireless proves to be very expensive. Verizon Wireless charges $30 for the equipment needed called the Hum-plugin. To add more to it, Verizon Wireless also charges the amount of $20 for its activation fee and then $10 on a monthly basis for services. T-Mobile seems to have two views on what they are offering. Constantly changing statements by the company prove it. T-Mobile first said that customers requesting Data Monitoring Services instead of the Wi-Fi connection will have to pay $150 just for getting the device needed. Sometime later, the company came up with another announcement in this regard and said that every user must have data plan for this service. Plugins like Hum are similar to all sorts of connected car services. Almost every car manufacturer is focusing on incorporating such devices in their cars. AT&T is a market leader in the category of such connected car services with over 50% of the market share dedicated to new car connections. AT&T has a profitable deal in place with some of the leading auto manufacturers of the world like Audi, Ford and Subaru. Taking all this into consideration, it will be very interesting to see the way T-Mobile seeks growth in this sector of wireless services. It is just the beginning down a new track for T-Mobile. 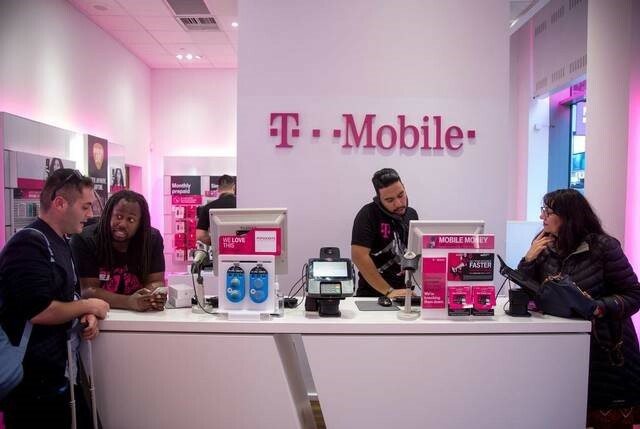 T-Mobile’s way to success in this category of wireless services is not going to be easy in the fierce competition being presented by the market leaders like Verizon Wireless and AT&T. Now let’s see what happens.